grown in the north of Scotland. 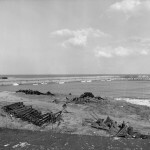 An earlier name is given as Port an Ab. Abbot’s Port, Abbotshaven and this last name still appears on the title deeds of a house in John Street. The Abbey of Fearn was established in 1238 so presumably its Abbots were those referred to above. One division of the Abbey lands was called Cadboll Abbot and this name still appears on the title deeds of a house in Park Street. Functioning as a port for a thriving Abbey must have encouraged early development in Balintore. 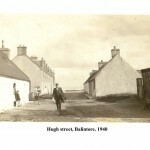 The construction of a road from Hill of Fearn to Balintore in 1819 and the building of the harbour in 1890-96 all contributed to its growth, subsequently it is now the main village and focal point of the whole community.